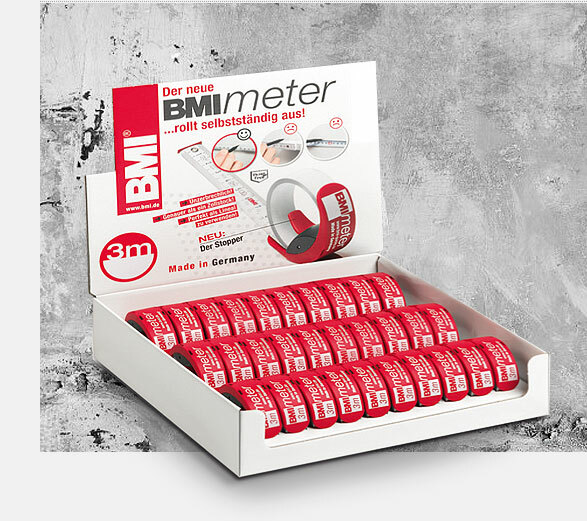 BMI Quicky that was sold a hundred thousand fold was further developed and is now called BMImeter. 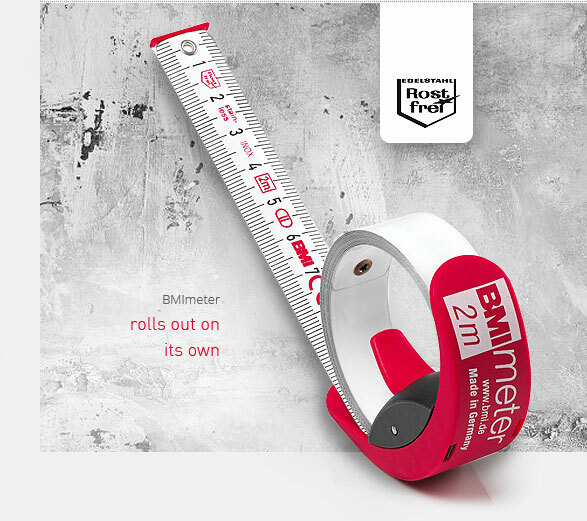 Fascination and advantages of this measurement tool can hardly be topped. 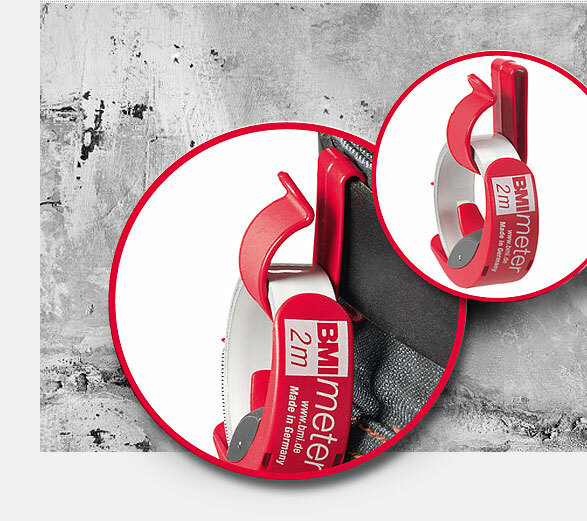 The major changes include: The BMImeter has a tape stopper and is available in both 2-m and 3-m designs. Due to a special treatment of the refined steel tape, the tape rolls out on its own. 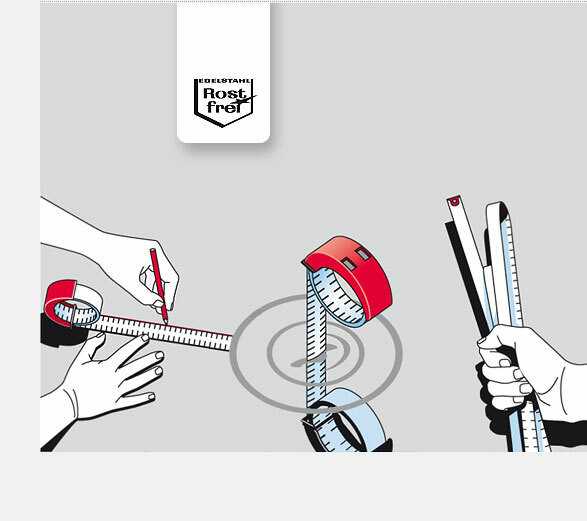 Ideal for drawing continuous lines. Length 2 m 2 m / 79" 3 m 3 m / 118"